Initially, roof leaks will damage the attic area and any items stored there. If there is no attic, roof leaks will cause damage directly to your interior ceiling. This damage can be difficult to notice, as homeowners don’t typically inspect their ceilings regularly. 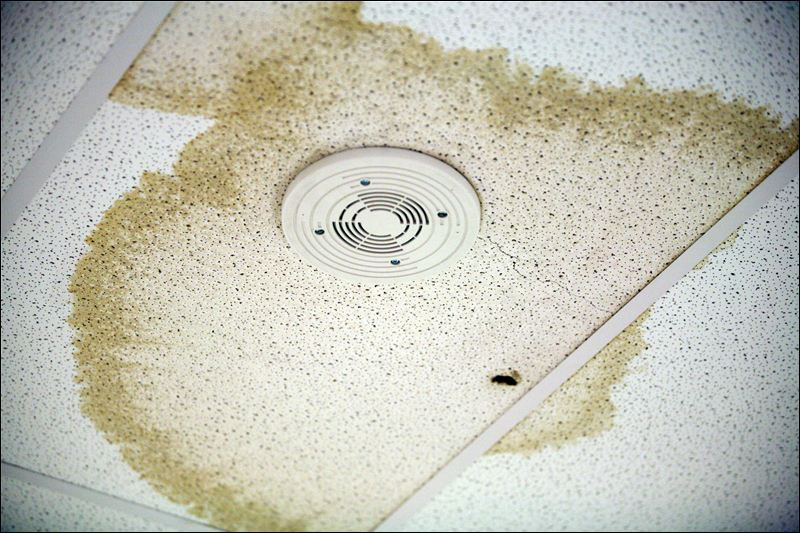 Small ceiling leaks can cause spots of slight discoloration, sagging ceilings, bulging drywall, and bubbling ceiling plaster, while larger ceiling leaks can produce a visible hole where water can come through. One of the more serious consequences of a roof leak is the growth of mold and mildew. Mold can spread to your home’s HVAC system, which in turn, allows it to invade your carpets, furniture, and clothing through vents. Chronic water intrusion typically results in the growth of black mold. Toxic black mold is rare, but even non-toxic black mold can have dire consequences. 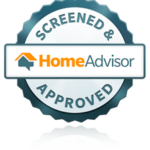 Non-toxic black mold attacks ceiling tiles, wood framing, and wall and floor coverings. According to the Centers for Disease Control and Prevention (CDC), molds can cause nasal stuffiness, throat irritation, coughing or wheezing, eye irritation, or, in some cases, skin irritation, and those with mold allergies can have more severe reactions. Mold can be especially dangerous to those with compromised immune systems, as they can get serious lung infections. If electric wiring is present in your attic or ceilings, a leak can pose a fire hazard. A leaky roofing could potentially trigger an electrical fire, especially if broken wiring is present. It is recommended that you turn off electricity to the affected area, and have an electrician examine it as soon as possible. Another pressing concern caused by a leaky roof is the compromising of your home’s structural integrity. Ceiling joists, rafters, wall framing, fascia boards, and even exterior trim can become deteriorated if they fall victim to water intrusion. Rotted structural components of your home can lead to serious problems that will require you to seek assistance from a professional contractor. To avoid all the possible consequences of a leaky roof, call RNC for a roof inspection today!